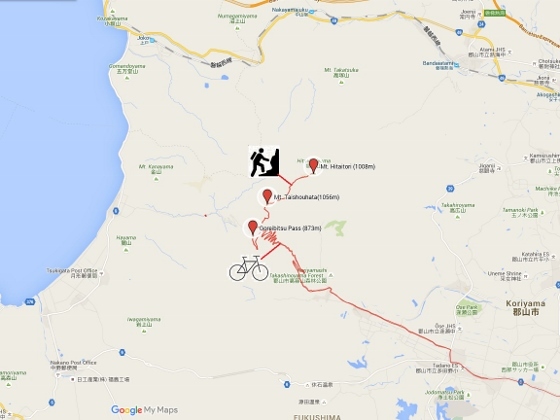 Today, I pedaled up to Goreibitsu Pass (837m) and then walked along the mountain trail toward Mt. 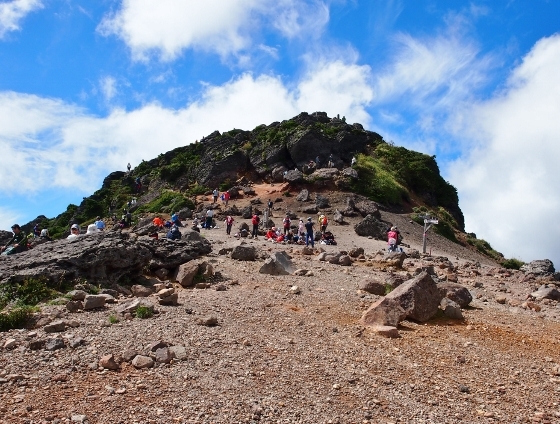 Taishouhata (1056m) and finally to Mt. Hitaitori or another name Mt. 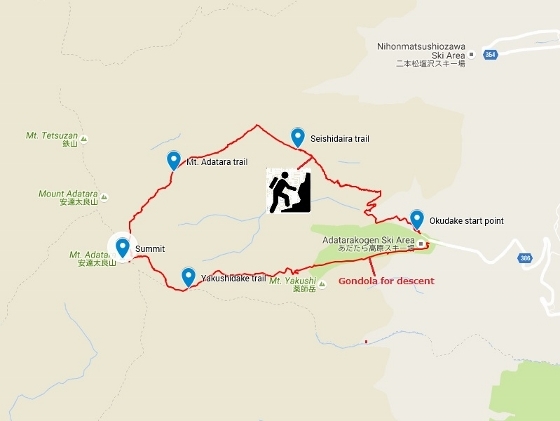 Asaka (1008m). 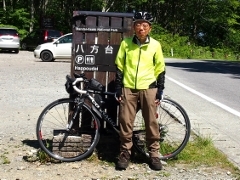 After I reached Goreibitsu Pass with by bike, I started to walk toward Mt. taishouhata. 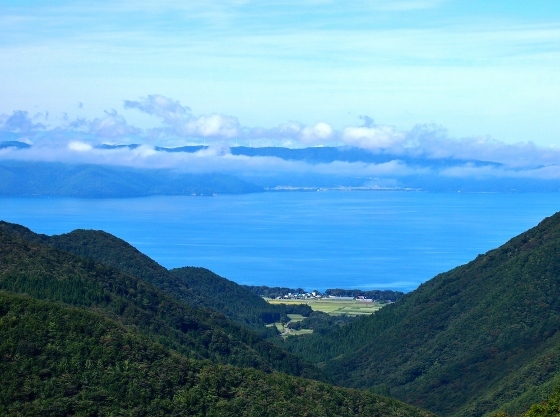 It was a fine day and I could see a gorgeous view of Lake inawashiro along the trail such as shown above. 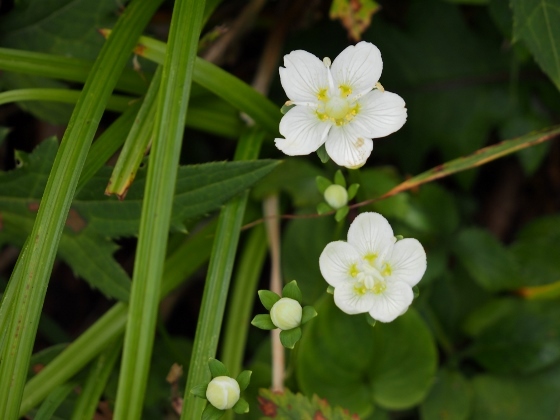 Then I met with this autumn flower called parnassia as shown above. 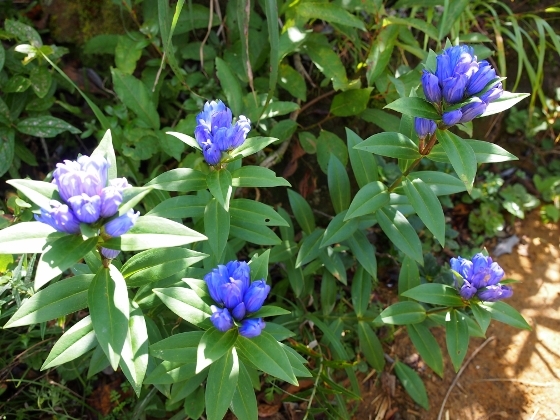 This flower can be seen in several places along the trail from just before the top of Mt. 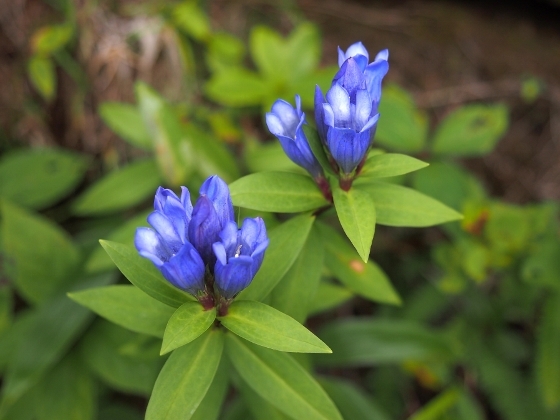 Taishouhata until another top of Mt. 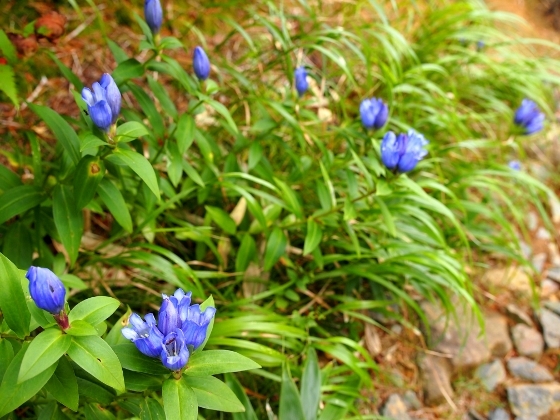 Hitaitori. 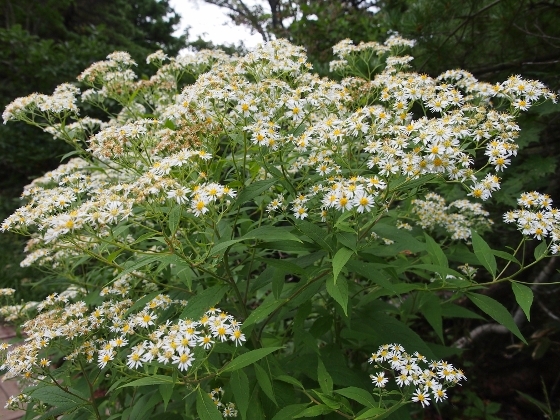 I love this majestic white flower which starts to bloom after most of summer flowers have gone. 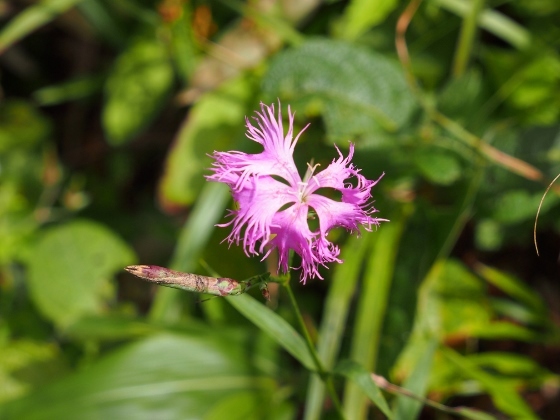 I also found the last pink flower of a kind of Dianthus as shown above. 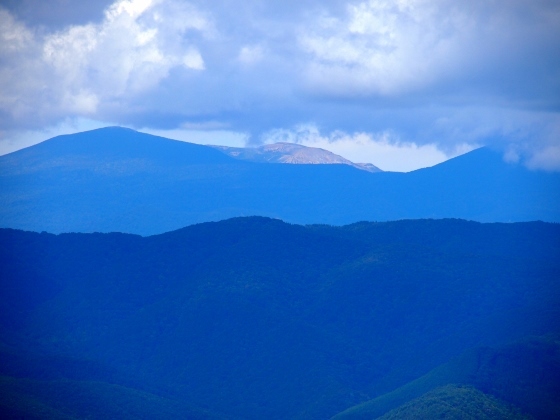 I want to show you some of the superb views from the top of Mt. 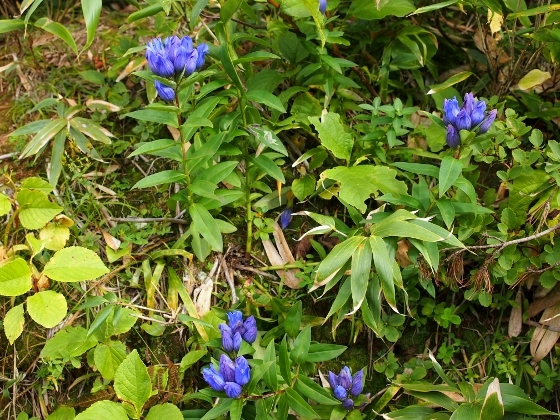 Hitaitori above. 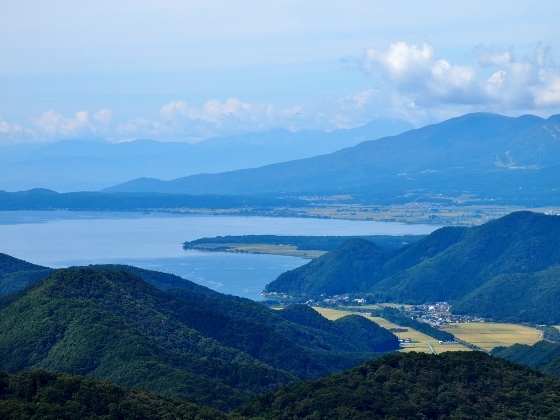 Lake Inawashiro with gold rice fields of Jokohama district in front and a part of Mt. Bandai in the back are on the views. I could also see the bare Mt. 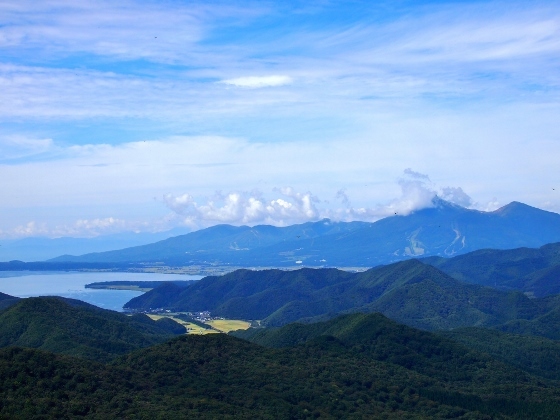 Issaikyo of Azuma Mountain Range in the far north as shown above. 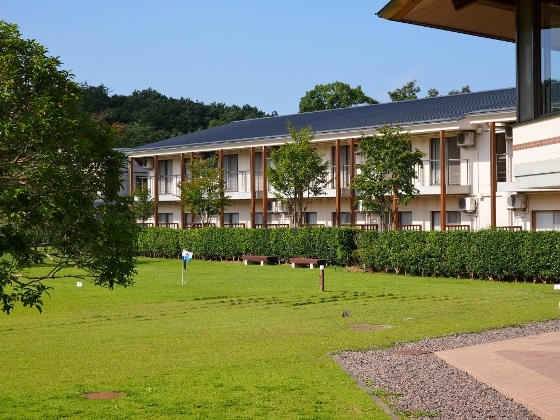 Last night I stayed at Yuyu Land Hanawa of Yujimata Hot Spring. 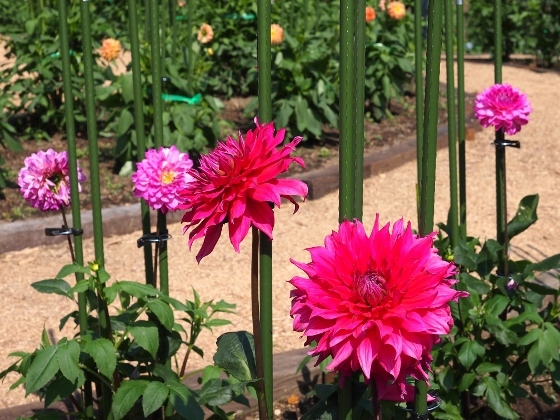 This facility has a large dahlia garden in front across the road. This was my first visit this morning. 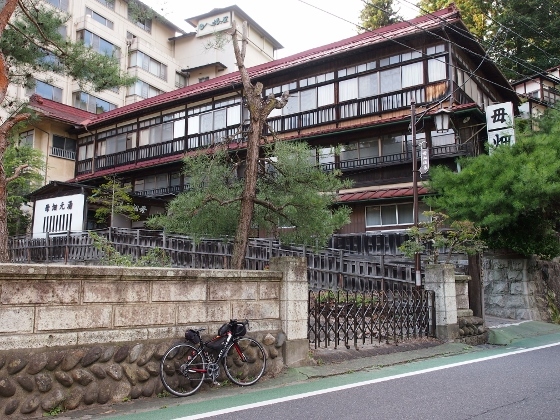 Then I pedaled north and visited Eryuda Falls in Samegawa Village. 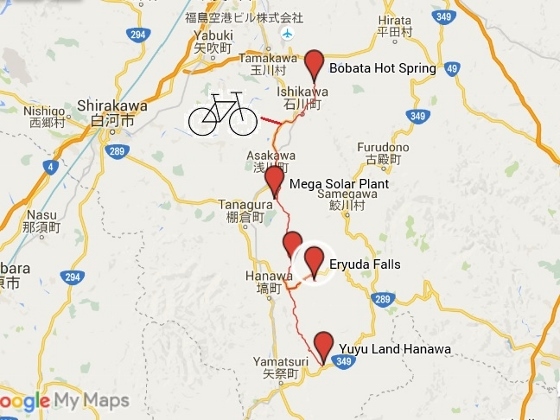 Final goal today was Bobata Hot Spring of Ishikawa Town. 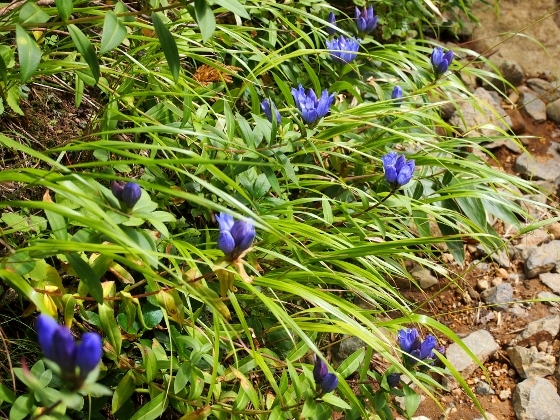 Picture above shows a Yuyu Land Hanawa Inn of Yujimata Onsen. 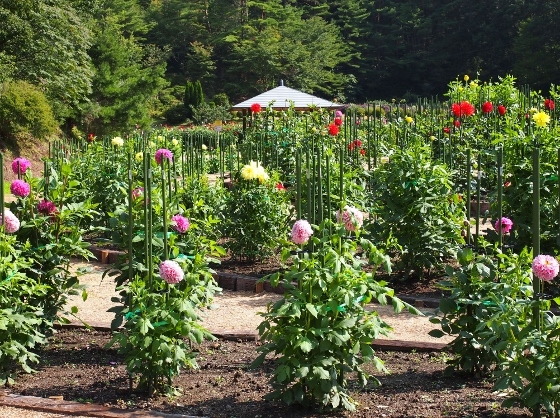 This is a nice public inn of Hanawa Town located in a remote area 550m above sea level..
Yuyu Land Hanawa owns a large dahlia garden. 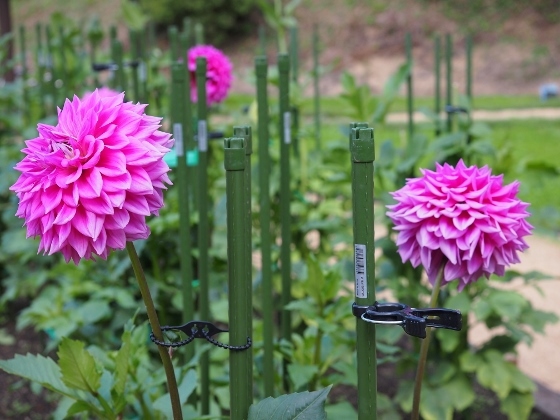 In this time of the season, dahlia has become in full bloom as shown in the photos above. The best time will last until October. 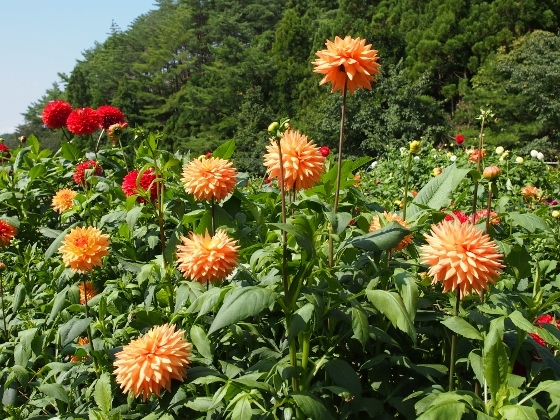 Dahlia Festival of Hanawa Town lasts through the end of October. 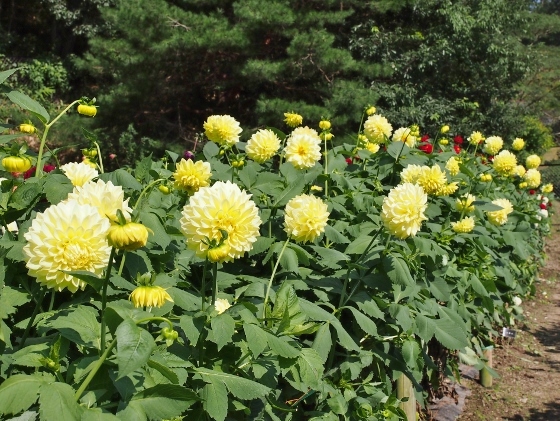 During Dahlia Festival you can find other dahlia gardens in many places in the town. 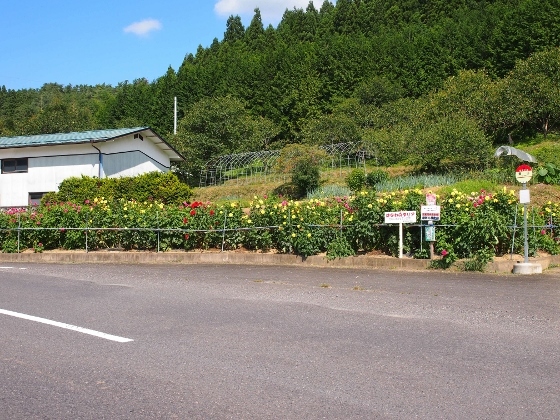 Picture above shows a bus stop with dahlia garden which I found on the way to Eryuda Falls. 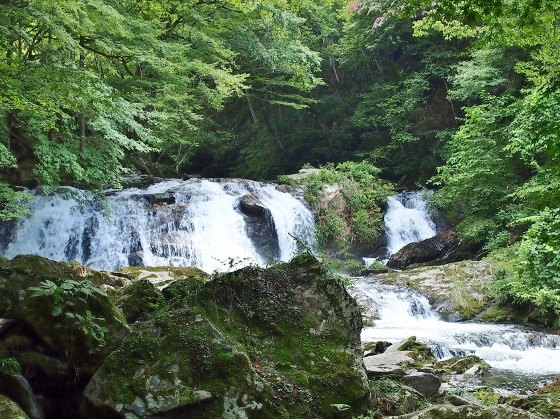 Leaving Hanawa Town, I headed toward Eryuda Falls in Samegawa Village. 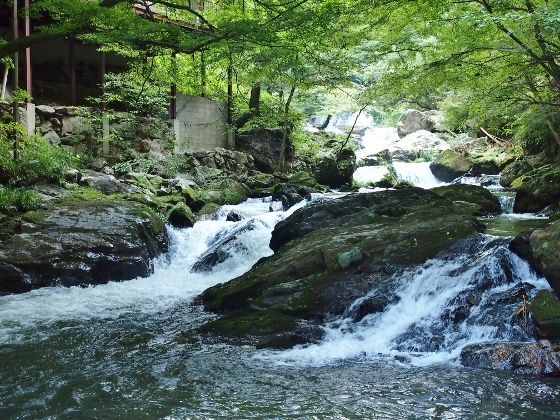 There are six falls at the site and two of them are shown above. 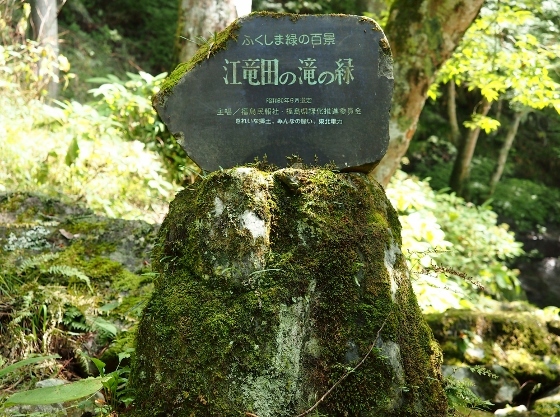 The site had been selected best 100 greens of Fukushima as shown in the stone monument in the picture above. 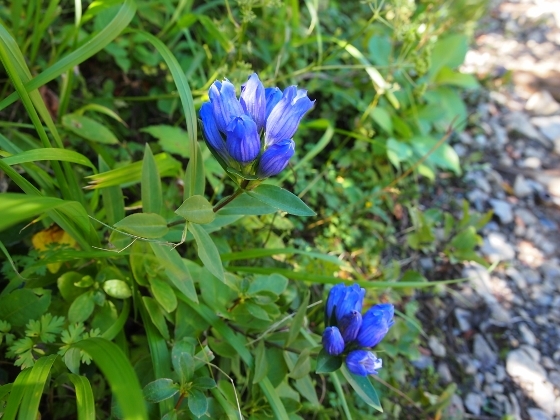 Then I headed toward Bobata Hot Spring Site in the north. 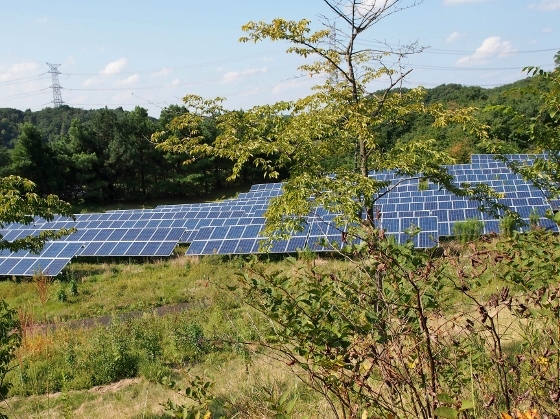 On the way I stopped at mega solar power plant which was built in an old golf course site as shown above. 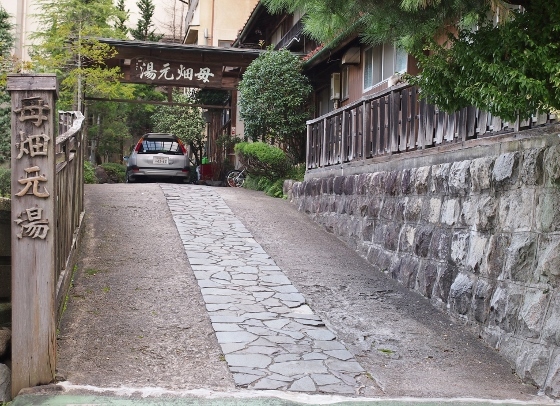 Bobata hot spring site was founded in 1063. 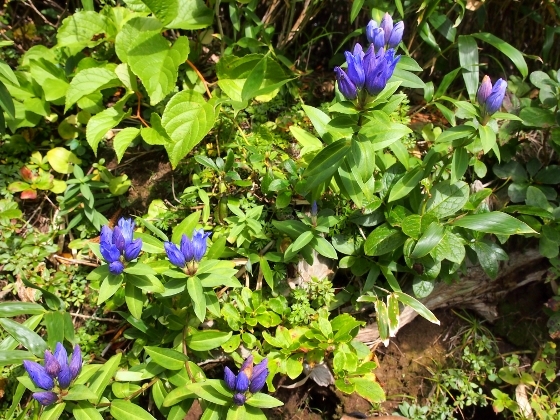 The original spring site is called Bobata Motoyu. This is where I stayed tonight. 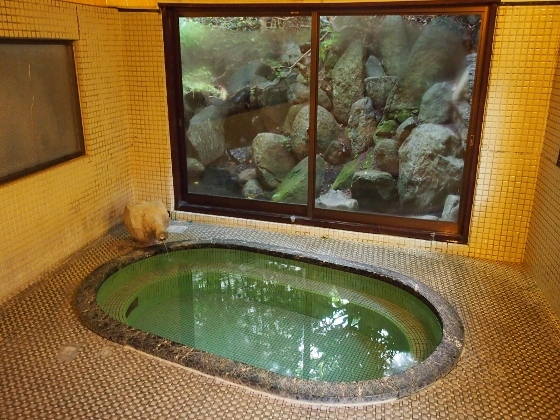 The building is an old (more than 100 years) wooden style with an old style bath as shown in the photos above. This alkaline and radioactive spring was excellent.